Look at this Mini Baking Bowl Set! Isn’t it cute…!? If you like your desserts to be of a rational size, then you’ll love Anchor’s Mini Custard Bowl Set. 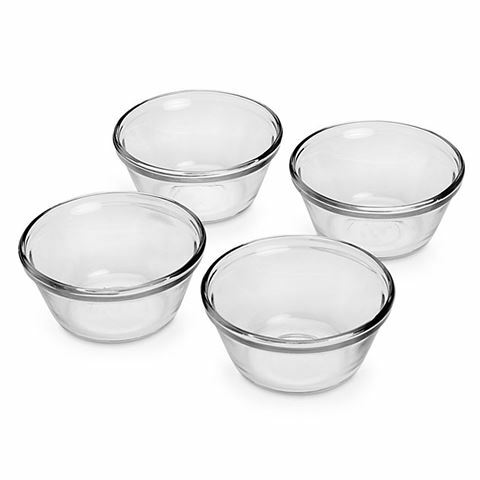 But you're not limited to just custards: create miniature custards or puddings or cakes within these solid little bowls; use them to store small portions of leftovers; or use them as pinch bowls in cooking. Perfect for custard or small desserts.